Successful vocational learning programs are all about building strong relationships with local employers. For schools who have recently had a change of coordinator or are setting up a new vocational learning program, maintaining or growing their host database is a vital process. To achieve this a school needs not only need a great host database with company and contact information, but relationship management features like activity tracking, flexible tagging, and the ability to attach opportunities and placements so you are building a history over time. For placements, a strong documented history makes the future easier so much easier. Where students are finding their own hosts as part of your school programs, the same, if not greater level of host information is needed to ensure the student is receives a QUALITY experience, and a SAFE experience. 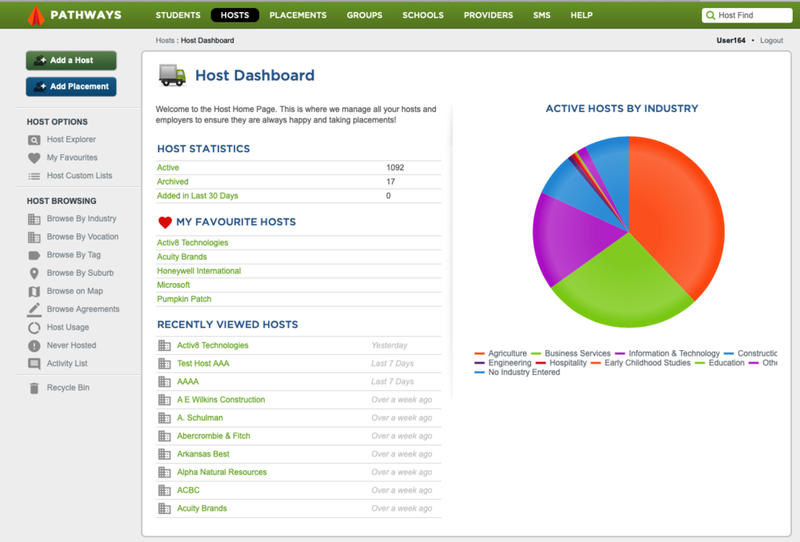 Pathways includes all the tools to support looking after your Hosts.